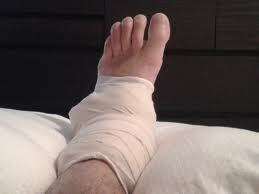 The first 24-48 hours after the injury is considered a critical treatment period and activities need to be curtailed. Gradually use the injured extremity as much as tolerated, by try to avoid any activities that cause pain. Often using a splint, sling, or crutches is necessary to adequately rest the injured body part. 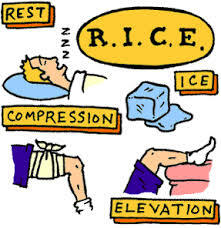 Use compression when elevating a sprain or strain in early treatment. Using an Ace bandage, wrap the area overlapping the elastic wrap by one-half of the width of the wrap. The wrap should be snug, but not cutting off circulation to the extremity. So, if your fingers or toes become cold, blue, or tingle, re-wrap! 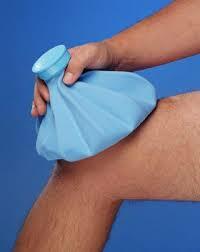 Keep your sprain or strain as best possible–try to get it higher than your heart if possible. Elevate at night by placing pillows under your arm or leg. If you experience any difficulty with your injury . Please don’t hesitate to contact me to make an appointment. Call me on 0876701166. Good luck!! !